There are a wide variety of hoses available for use in a range of different industries and manufacturing areas. The materials used for those hoses can range from rubber, composite, PTFE, fabric and metal. A flexible metal hose is often used when a standard material (non-metallic) will not be durable or resistant enough to transport the substances safely and securely during the manufacturing process. The choice of hose material within the various industries around the world completely depends on the application where the hose will be used. However, there is a selection of specifications to look into before choosing to use a metal hose. A flexible metal hose is incredibly useful when transporting materials that require a much hotter or colder temperature to remain intact and fully functional. If you know that your product requires specific temperatures that are considerably colder or hotter than room temperature then you definitely need to invest in a flexible metal hose. This is to ensure the safety of employees and guarantee efficiency with production and daily workflow. Metal in general can withstand far more robust materials than any a variety of other materials used to create industrial hoses. In the case of transporting harsher materials and chemicals during daily production, a flexible metal hose will be able to handle the aggressive nature of certain chemicals (both internally and externally). Stainless steel is a commonly used metal that performs well when used with chemicals, with metal alloys providing even more resistance to corrosion. It may not seem necessary to use metal to transport gases; however, some hose material may permeate through the hose wall and cause a catastrophic health and safety issue. A metal hose will completely remove this issue and safely transport any gases that cause harm when spread into the atmosphere. 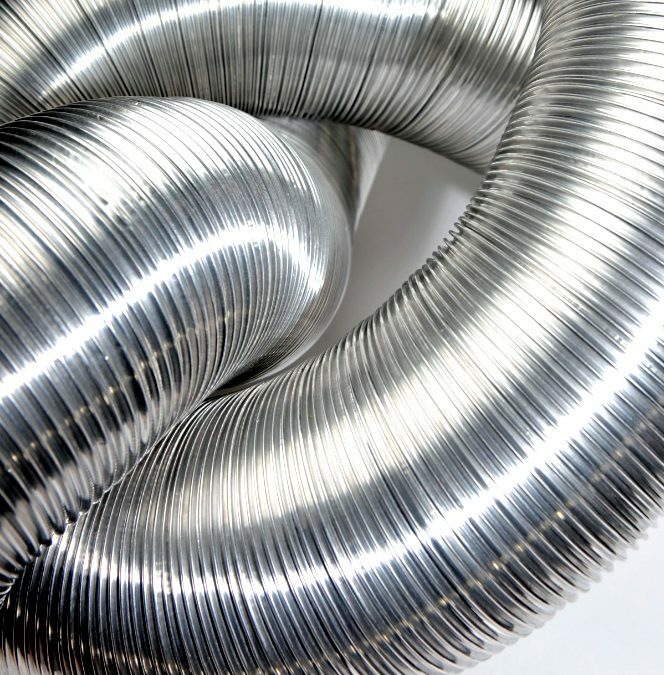 During a vacuum procedure a robust metal hose can withstand the pressure and retain its original shape. However, a lot of other materials can be susceptible to bending and moving out of shape when exposed to greater pressures and during the transportation of materials. Metal covers can be wrapped around a standard hose to provide extra strength and an added resistance to over-bending. Another preventative measure for your industrial hoses is fire protection. Most materials when exposed to fire will melt or become permanently damaged and unusable. However, flexible metal hoses are resistant to heat up to 1200 degrees Fahrenheit. Full metal hoses are obviously more resistant to heat than other common materials when compared to those woven with metal or just covered in a metal cover.